Hey! Another half-finished draft post! Woo! I bought this set from beauty.com ages ago, but I've already repurchased two of the three products since then. 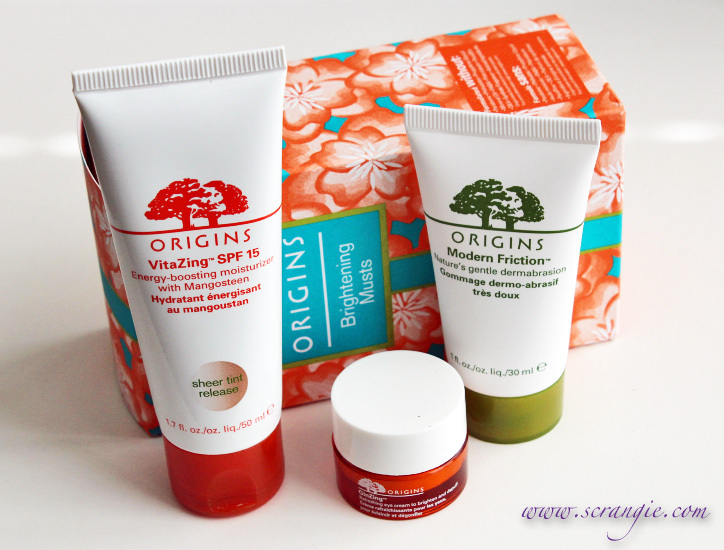 I bought my first Origins skincare item back in Fall of 2011 and I've been a huge fan ever since. This kit consisted of a full-size VitaZing SPF 15 Tinted Moisturizer, a travel-size Modern Friction dermabrasion creme and a travel-size GinZing eye creme. VitaZing is great. It's hydrating, tinted and it smells good. 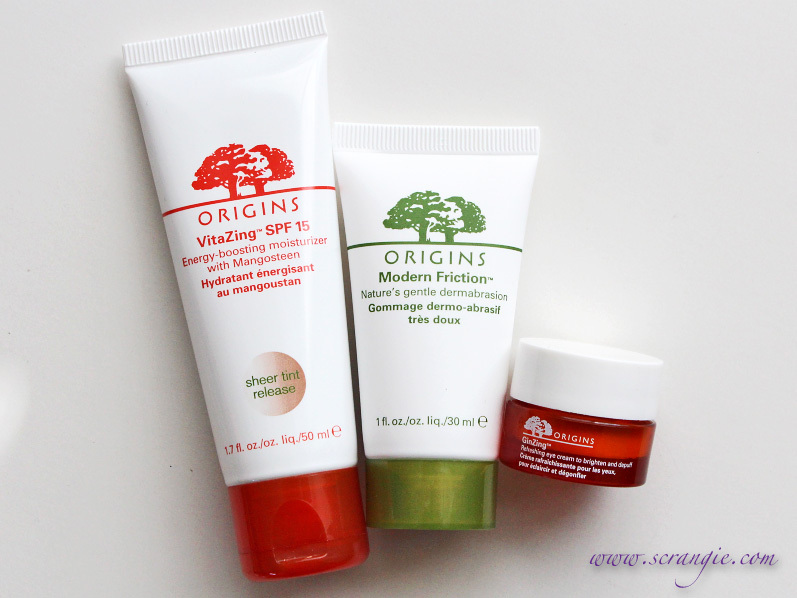 It doesn't make me break out or otherwise irritate my skin. I've repurchased this. GinZing is also hydrating and it has a little bit of peachy tint when applied so it brightens the eye area. Works well and doesn't sting my eyes. I've repurchased this as well. The kit as a whole was a good price, but it's now sold out. VitaZing only came in one shade when I bought this. The tint is good in the summertime when my face is a little more tan, but a bit dark and obvious when I'm paler. Modern Friction burns like hell. It stung my skin, my nose, my eyes, my lips, everything. To add insult to injury, it didn't even do a good job of exfoliating. I don't intend to ever experience that again. Bleh. GinZing in a jar dries out way faster than GinZing in a tube. My Origins holy grail is the Mega Mushroom line, but I love the "zing" things just as much. I suppose the mushroom products are better for winter and these are better for summer. 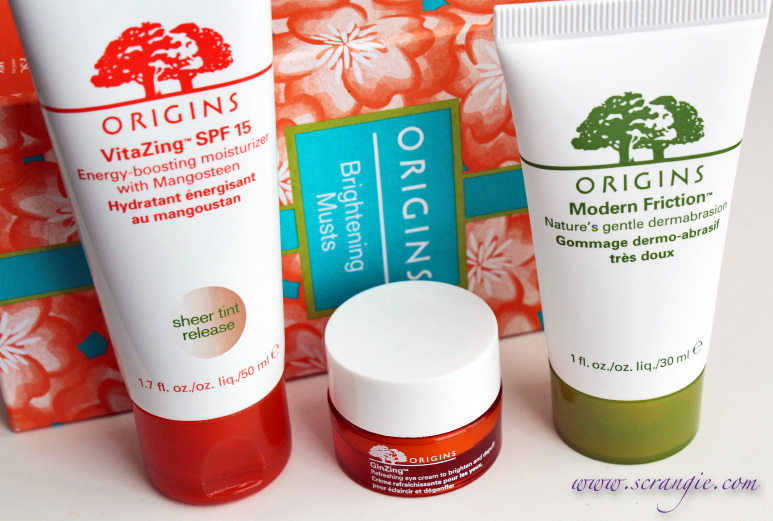 Really, out of all the Origins stuff I've tried since 2011, Modern Friction is the only thing I haven't liked, and when it comes to me and skincare items, that's really rare. 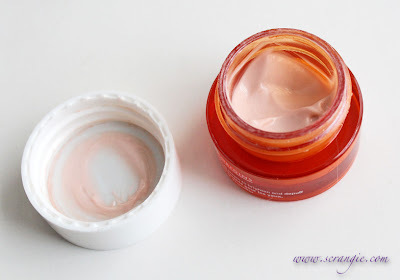 I like the VitaZing Tinted Moisturizer but I always find that the eye creams aren't enough moisture for me. I haven't tried the mega Mushroom line though,; any recommendations? I leave it on longer than the label says to, but it's really hydrating and soothing and evens out any redness and dryness and irritation on my face.